F1 Jarrahdale hybrid with Cinderella type flavour. 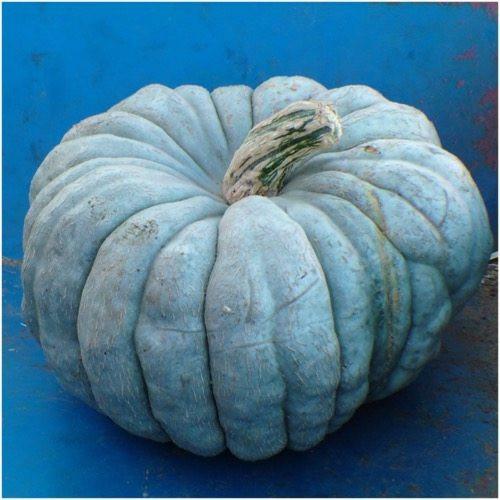 An Australian pumpkin type. 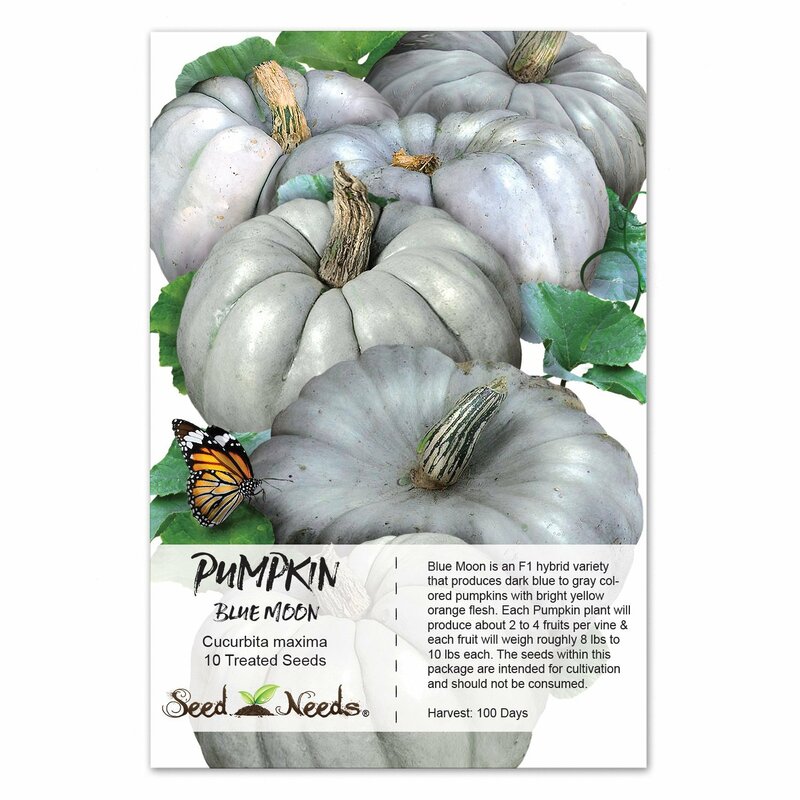 The Blue Moon pumpkin with its mottled grey rind and orange-yellow flesh has a very sweet and refreshing flavor. They weigh 9 to 11 pounds with a 10 to 12 inch diameter. 100 days.